Townhome living is now available at Shearwater! 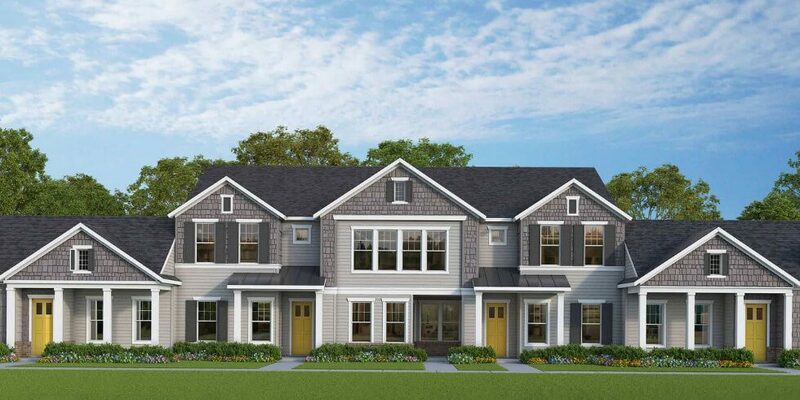 David Weekley Homes is offering a variety of townhome plans to choose from, with prices starting in the mid $200,000s. With both one- and two-story options available, plans range in size from 1,563 to 2,543 square feet with two to three bedrooms, two to three bathrooms and an attached two-car garage. Options include a study or guest bedroom, and even a second-floor balcony. Whether this is your first home or you’re looking to downsize a bit, you can find a floor plan ideally suited to your needs, with all the space you need, where you need it! Plus, as a Shearwater resident, you’ll have access to all the unique amenities and events this community is known for. Year-round lifestyle events, put on by the full-time Lifestyle Director, help you get to know your neighbors and connect with the community. Vacation-style amenities like the resort-style pool, Lazy Bird River, three-story waterslide and state-of-the-art Fitness Lodge are just minutes away. And with 15 miles of hiking and biking trails, multiple parks and a Community Garden, spending time in nature has never been easier. Want to learn more about Shearwater and the benefits of townhome living? Schedule a tour to visit our community. And be sure to join our Interest List to receive news and updates.